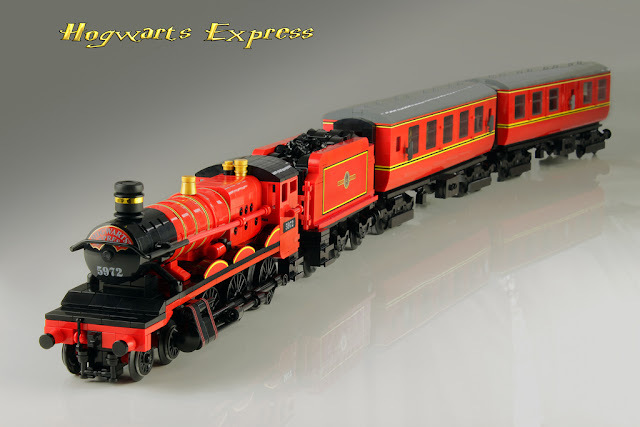 This beautiful Hogwarts Express Train model from the famous Movie Series Harry Potter was recently shared by LEGO fan and flick.com user Stephan Niehoff a.k.a. stephann001 who is known for his Blacktron II project that contains great MOC's that we have shared in this blog. The shaping of the locomotive is really great and the golden details added done beautifully. The train is in minifigure scale so it is possible to put minifigures in passenger cars.